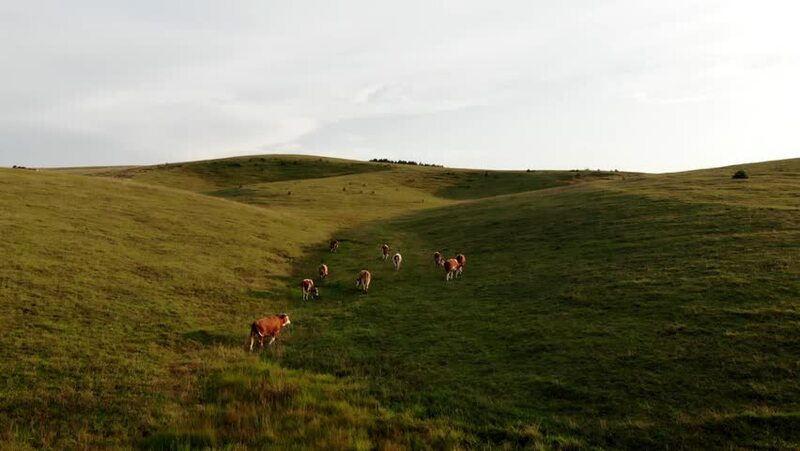 Herd of cows on the mountain field. Aerial view. hd00:14Extreme cycling. Cyclists riding on a mountain road in Iceland. Beautiful scenery and nature of Iceland.